A few metres away from me, in the centre of a grassy field, six Cherokee warriors are performing a dance. It is, unquestionably, an impressive sight. Loud war cries fill the air. Tomahawks are wielded. And there is a sense of panther-like power and stealth about their movements as, dressed in deerskins and moccasins, faces daubed in bright paint, they prowl in a circle. It is not, I must admit, what I had expected of my first journey into Tennessee. Here is a corner of the USA well known in tourism terms, but mainly for the music � woozy blues and cowboy-hat country � that emanates from its noisy, celebrated cities of Memphis and Nashville. The sufferings of the continent�s indigenous people, on the other hand, are � it is probably fair to say � rarely listed as a reason why you might visit the Deep South. But this is changing. 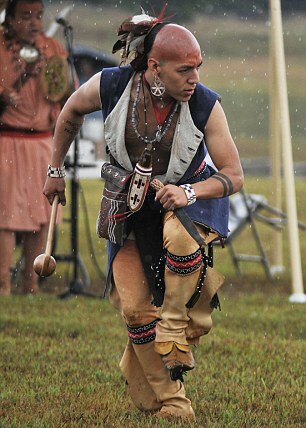 The Cherokee dance I am witnessing is part of the annual Fall Festival at the Sequoyah Birthplace Museum � an institution (near the Cherokee National Forest in Vonore County, towards the lower edge of Tennessee) that attempts to safeguard the history and culture of a people who have not always been treated fairly in the land of their origin. Far from it, in fact. The persecution of the native population of America in the 19th century (and subsequently) is a dark stain on a country that touts itself as the �land of the free�. Already pushed inland by the arrival of colonial Europeans, the fate of the tribes who occupied the fertile soil of what is now the Deep South took a terrible turn in 1830. The Indian Removal Act, pushed through by then-president Andrew Jackson, started a decade-long process that saw the ejection of Native Americans from the lands east of the Mississippi (the modern states of Tennessee and Georgia especially), and their transfer to less coveted terrain further west (in particular modern Oklahoma). Several tribes were directly affected � including the Seminole, Choctaw, Creek and Chickasaw. But � as I absorb them at the museum � it is the bare statistics of the Cherokees� removal that leaves me stunned. The vast area they inhabited � originally comprising 40,000 square miles across eight states, and prized for its river access � was desired by settlers, traders and gold seekers. Jackson�s aggressive legislature was initially resisted by around 80 per cent of the tribe, with only 2000 of the 16,000 Cherokee population agreeing to make the journey west voluntarily, deeming it futile to stay and fight. The rest, once the deadline for leaving had passed, were rounded up by the army and marched into concentration camps. From there, they were forced to make the almost 900-mile journey west by foot, boat or wagon. The Cherokees called their removal �Nunna daul Isunyi� (the trail where they cried). Almost two centuries on, the routes taken by the seven clans which made up the Cherokee Nation are now collectively known as the Trail Of Tears � a reminder of one of the greatest tragedies that the United States has ever inflicted upon a minority population. The removal does not sit easily with many Americans. But this bleak period is increasingly being acknowledged in Tennessee � as I quickly discover. Seventy miles south-west of Vonore County, the pretty riverside city of Chattanooga is also doing its bit, as home to the USA�s largest public art project celebrating the tribe�s history and culture. The Passage is certainly a striking sight. A pedestrian link between the centre of the city and the banks of the River Tennessee, it attempts to commemorate what happened to the Cherokees here � and does so to dramatic effect. Designed to mark the start-point of the Trail Of Tears, it features a �weeping wall� that pours through the exhibit towards the river � representing the tears shed as the Cherokees were driven from their homes, often at the end of a bayonet. 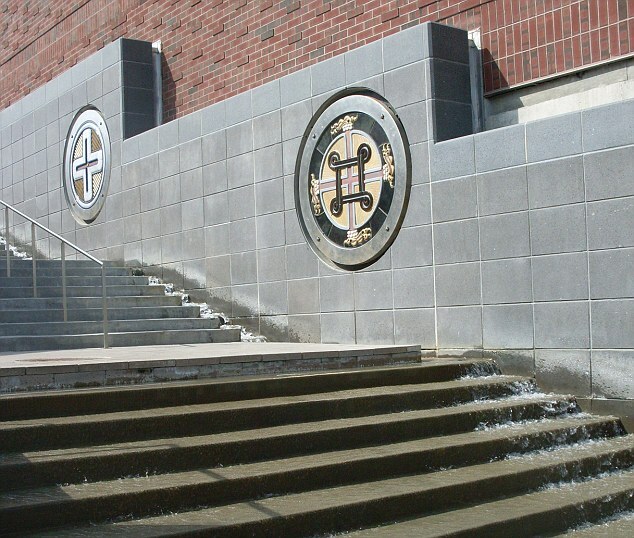 Above, seven six-foot ceramic seals symbolise the clans that were forced out. It is hard not to be moved by the knowledge of what happened here. The monument is located on the spot where 800 Cherokees were herded onto a steamboat at Ross�s Landing � named after the Cherokee leader of the time, Principal Chief John Ross, who watched aghast and powerless, as his people were forced onto the vessel. The unfortunate 800 were then �escorted� west in what was to become the first stage of removal on June 6, 1838. Up to 8000 Cherokees are believed to have died on the Trail Of Tears. I learn more about these sorrowful days of the 1830s from Dr Daryl Black of the Chattanooga History Centre. He paints a nightmarish picture of the scene, (he goes as far as to liken the Indian Removal Act to ethnic cleansing, citing Kosovo as a comparison), describing how the chief could hear the beams of the boat cracking under the weight of those crammed on board. The sadness in the air would have been palpable. Not only were the Cherokees being ripped from their homeland, but the direction in which they were travelling had dark connotations for them. According to Native American lore, dead souls head west � making the removal even more poignant. �In 19th century America, the cultural notion of a white man�s nation predominated in most discourses about the national future,� Dr Black explains. �The inclusion of �inferior races� was anathema to the vast majority of American citizens. This is such a good article, I wanted to include the rest of it. Thanks for posting this, Ohelemapit. However, the story has taken a positive turn of late. Dr Black considers the recovery of the Cherokee since 1838 �a great success�. �The Cherokee have been adaptive and have successfully preserved a distinctive culture,� he continues. �They have kept their language alive, and have continued to work to protect the integrity of their nation politically, economically and socially. 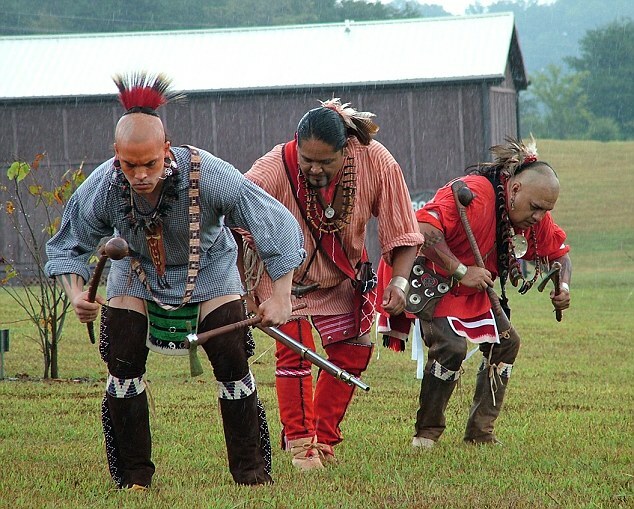 �In Chattanooga, the efforts to embody Cherokee memory have sprung from a sense among many that the events that unfolded in and around Chattanooga were a shameful period in United States history. This spirit of collaboration and forgiveness is firmly in evidence at the Sequoyah Birthplace Museum, where I find myself caught up in a whirl of Native American food, arts and crafts, demonstrations, music and historical re-enactments. 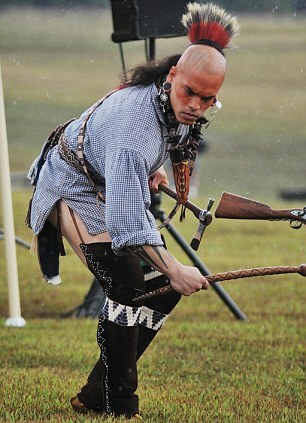 A group of Cherokees talk me through their use of weaponry � including axes and war clubs designed to kill a man with one blow. They also explain the significance of their clothing � and laughingly dismiss the Western stereotype that they live in tee-pees. Then the dancing begins, accompanied by jovial remarks that � despite the sudden, freak thunderstorm that has just broken overhead, what is to come is not a rain dance. Visitors are encouraged to take part and before long � despite being something of a self-confessed wallflower � I am dragged from my ringside seat to join in the fun. I quickly find myself in the midst of a playful buffalo dance, barefoot in the pouring rain and loving every minute of it. During a breather, I get to chatting to 28-year-old Mi Gi Ko Ga, a young man from the Cherokee mother town of Kituwah. �To me, to be Ani Kituwah Gi [the Cherokee name for people from Kituwah], is priceless,� he smiles. �We are so fortunate to still have our language, culture, history, our stories, dances, our whole identity. �Not only are we educating ourselves, we are also simultaneously ensuring our future as a people through speaking our language, presenting our dances and sharing the elements of our history and culture through a strong oral tradition. Mi Gi Ko Ga also shares with me the significance of the red paint on his face � a daubing made from crushed ochre, a mineral that occurs in different hues throughout the world. The Cherokee traditionally used only use black and red tints, he explains. Red paint would be worn on a day-to-day basis, and was also used to paint the dead before burial. There are further sights on my Tennessee tour that give me added insight into the resurgence of the Cherokee Nation: Fort Loudoun (a Cherokee-British outpost in the southern Appalachian mountains which the tribe burned to the ground after relations soured); Birchwood (the site of Blythe's ferry, from where 10,000 Cherokees were transported across the Tennessee river); Red Clay State Park (the last seat of Cherokee government before the Indian Removal Act came into force) and Cleveland (home of the Cherokee National Forest). At every stop there is a fierce pride that the Cherokee story is now being told � a pride that is reinforced by the fact that, with a population of around 250,000, the Cherokees make up the largest American Indian group in the United States. Nor is their story finished. And if you have a mind to experience a Tennessee beyond the hoary old music legends, the fried fish and cornbread, and that engaging southern drawl (as enjoyable as all these things are), my advice would be to hop on a plane, hire a car, and follow in Cherokee footsteps for yourself. Sara Nelson flew to Atlanta, Georgia, with Delta Airlines (0845 600 0950, www.delta.com). Return flights start from around �600 including taxes and surcharges. Road transfers to Chattanooga take around two hours. Rooms at the Chattanooga Sheraton Read House Hotel (www.sheratonreadhouse.com) cost from $159 per night. For tips on travelling in the southern states, visit www.deep-south-usa.com and www.tnvacation.com. For further information call 01462 440784.